Lost Art is back in Paris! Hey everybody! It's not easy to find good outdoor painting days in the winter, but this past week in Paris has had a couple of great ones. 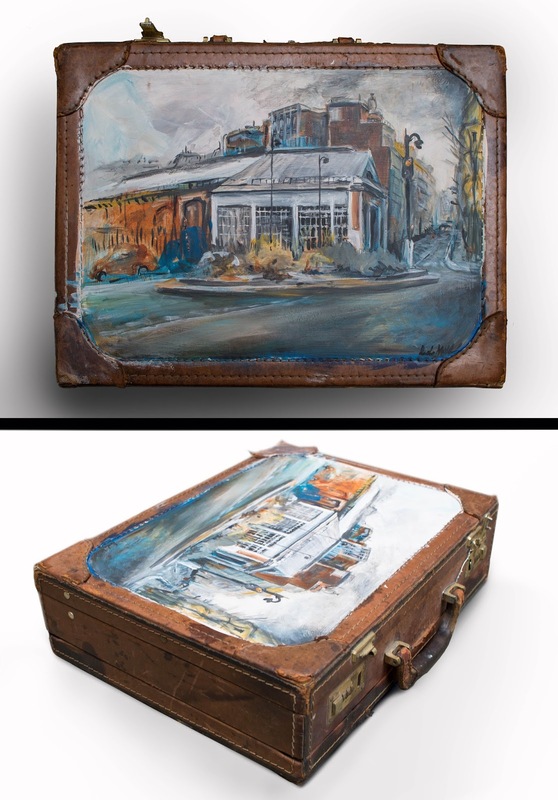 And I also found this beautiful old leather briefcase sighing its last breaths on a lonely sidewalk, so I decided to take it on a walk with me and see if I could give it a new life to live. It's great to be out painting again, and trying to rescue curious objects from their demise, and leaving unexpected gifts around town. I hope that this one brightens somebody's day today! If you know somebody in the area, feel free to share this post with them. Otherwise, if you're just out for a stroll around Paris yourself, swing by the Place de l'Europe and see if it's still there. Whoever finds it first gets to keep it! Consider it my Valentine to you ;). 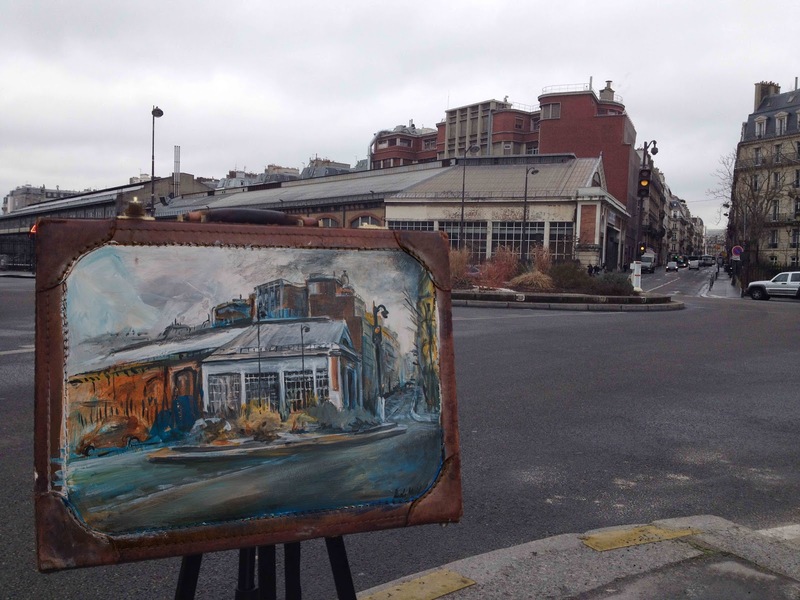 This painting, acrylic on found briefcase, 45cm x 35cm, was left at Place de l'Europe in Paris, on February 17th, 2017 at 4:30pm.